SAMSUNG J5 FRP LOCK REMOVE BYPASS 2017 Augest PATCH. 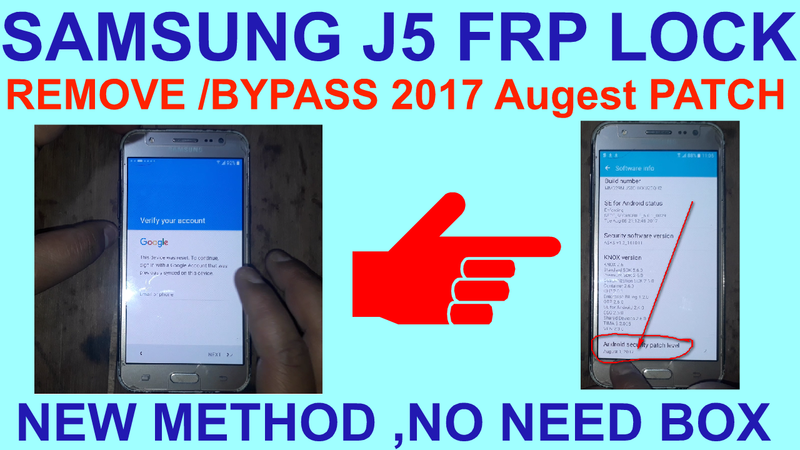 How To Remove Frp Lock On Samsung J5. 15# Download Google account manager.apk. 18# Now open quickshortcutmaker Logine new gmail. 19# Now add new gmail. 20# Go to setting and remove logine gmail. 21# Now your phone frp unlock done.